"Look Deep Into Nature and Understand Everything Else Better"
"Who Should You Believe" - When it comes to choosing the best PEMF device? Let's take this a step further, who do you believe when choosing the best food, supplements, water, etc? I want to help you simplify your approach to health and specifically on this website, I want to help you in choosing the best PEMF device for you and your family. The human body needs elements from the earth: organic food (that's nutrient rich and non-gmo), clean and energized water, natural full spectrum sunlight, oxygen from fresh air and YES pulsed magnetic fields (PEMF). PEMF is a required and necessary element found on planet earth and necessary for the human body to survive (as we will see on the next page). Our journey together will be to comprehend and study the Earth's natural pulsed electromagnetic (PEMF) energies and try to find a device that best matches what is found in nature. Victor Schauberger (know as "The Water Wizard") was a great Austrian scientist, inventor and water researcher. He practiced and lived by the motto, "Comprehend and Copy Nature". He was often quoted as saying "Nature is My Teacher". I want to briefly mention Victor Schauberger because I truly believe his approach to understanding the best water Nature provides and his inventions of machines that duplicated nature's process of making water can help us use a similar approach to understanding the best PEMF energies and which device(s) duplicate nature. Schauberger and one of his predecessors, Vincent carefully studied the parameters of Nature's best spring waters, parameters like temperature, pH, conductivity, surface tension, dissolved solids, etc, and carefully invented machines that replicated nature. Modern day tap water is loaded with harmful chemicals and in no way is similar to nature's water. He also observed how water moved, that it was sensitive to sunlight, had different cycles and he even believed water in nature had a living presence. Before applying this reasoning to PEMF, let’s go through elements you are perhaps more familiar with (i.e. food, water and air) to illustrate to you how intuitive and logical this reasoning is. Starting with food, there is a lot of confusion as to which foods to eat and which diet is best. Personally, I am a certified nutritionist and I am familiar with most of the popular diets. What's interesting to me is that even diets that seem diametrically opposite (like the Atkins diet and Vegetarian diets) share a lot in common (namely, what to avoid). There is no diet I am aware of that recommends fast food, white bread, soda pops, sugar, trans fats, processed foods, canned foods, processed salt, etc, etc. My point is that whether you eat meat or not, these major diets DO stick with nature. Personally I am a raw food vegan, but I am not sure this is the best diet for everyone. What I am sure of is that if you eat whole foods from nature (organic and non-gmo), fruits, vegetables, whole grains, nuts and grass fed meats and unprocessed dairy you can thrive. Again truth is simple: Stick with Nature. When it comes to water, we should drink water that is purified with just the right amount of minerals. 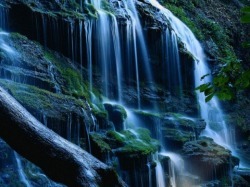 Like the best springs in nature OR a water processor that duplicates nature. We also need clean air and plenty of oxygen. Indoor air was shown in one EPA study to be 30 times more polluted than downtown L.A. So try to get a good air purifier and get outside in the fresh country, mountain or ocean air as much as possible. And perhaps not as critical, but still important is natural full spectrum light. We need an average of 30 minutes of full spectrum light a day otherwise we get what it known as Seasonal Affective Disorder (S.A.D). There is much more to say about food, water, air and full spectrum light, but I want to keep it simple. We need these elements and the form we need is what is found in nature. Fast foods, synthetic vitamins, drugs, tap water, soft drinks, forced air heat, air conditioned air and fluorescent lights are NOT natural and actually harmful to our health. There is ONE MORE element that was not known to be essential, and that FIFTH Element is Pulsed Electromagnetic Fields (PEMF), which is the focus of this review site. My premise is that we should seek a PEMF device that best duplicates nature, just like we should seek natural foods, water, air and full spectrum light. Most people know we need food (earth), water (water) and oxygen (air) to survive. And many people also know they need full spectrum sunlight (fire) or you get what is referred to as SAD (seasonal affective disorder). That makes FOUR critical elements, EARTH/FOOD, WATER, FIRE/SUNLIGHT and AIR/OXYGEN. But most people DON'T know there is a fifth element also vital and necessary for human life. That element is... PEMF!!! PEMF - Pulsed Electromagnetic Fields, is the fifth element needed for human health and well-being. And just as all the elements come from the Aether/Ether, so does all matter arise out of pulsed electromagnetic energy PEMF. 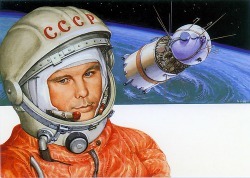 In Yuri Gagarin's historic flight into space, he returned in near critical condition after only one hour and forty-eight minutes in space. Clearly there was some vital element missing in space that we receive on earth. Well Yuri had plenty of food, he had water, and also oxygen and since the flight was less than 2 hours he really only needed oxygen. So what's missing? Well you may say gravity and yes you would be correct, but we can survive in near weightless environments here on earth (in water for example) for just a couple hours. The critical missing element is PEMF - Pulsed Electromagnetic Fields. Since that first flight, pulsed magnetic devices have been used in every space suit and space station with the notable inclusion in the MIR space station. Further studies have been done on earth (zero field studies) with both laboratory animals and human subjects. What was found is that just in a matter of hours of NO exposure to healthy PEMF's, cell metabolism begins to break down causing bone loss, muscle weakness, depressed metabolism, disorientation and depression. Conclusion - Research has conclusively proven the fifth element PEMF is a necessary and required element of health just as is food, water, and oxygen and to some extent sunlight. PEMF's are like a spark plug or catalyst for energy production in the cell. Just like a car needs oxygen, fuel and an ignition (spark plug), so does the human cell need fuel (glucose), oxygen and a "spark plug" or ignition. This ignition is PEMF or pulsed magnetic energy from both the earth and movement/exercise on the earth. We can also think of PEMF as a battery recharger for the human cell. We now know that the voltage of a healthy cell is about 70-110 millivolts and when we get sick that voltage drops below 50 millivolts or less and cancer cells are 30 millivolts or less. Pulsed electromagnetic fields (PEMF) act like a catalyst and battery recharger for the human cells and these PEMF's are critical for human metabolism. PEMF's also improve microcirculation, oxygenation (up to a 200% increase), help in nerve regeneration, pain management and many other health promoting benefits. There are over 2000 clinical studies and over 10,000 research papers validating the therapeutic benefits of PEMFs. So What Is the Best type of PEMF for the Human Body? To understand the best type of PEMF (now known as an essential element like food, water and oxygen) for the human body, there are four aspects of the pulsed magnetic fields you need to understand: frequency, intensity, waveform (or geometry) and timing (meaning our circadian rhythms and brain state frequencies change throughout the day). My premise is that we evolved on planet earth and the earth provides us with EXACTLY what we need. Therefore we will closely look at the earth’s frequencies, intensities, etc. and try to duplicate nature as best as possible. Doesn't it make sense to stick close to Nature? Doesn't it make sense to eat organic whole foods, drink pure water, and get natural sunlight and breath fresh air??? Doesn't it make sense that when we eat processed foods, drink dirty tap water, live under fluorescent lights and breath stale, polluted air that we get sick??? So I want to appeal to your common sense and explain that when looking for a PEMF, pulsed magnetic therapy device, you should try to find a unit that is closely aligned to nature... I hope this makes perfect sense. It did to me when I first heard it.